Last year was the first year I came across this tradition from America. While my girls are still young enough to 'believe' in Father Christmas I want to create as much magic as possible. The idea is that on 1st December (or after Thanks Giving if you are in the USA) Father Christmas sends a scout elf to your house to watch the behaviour of the children (bare with me - its not as creepy as it sounds!). The elf will return to the North Pole each night to report back to Santa on whether the child has been naughty or nice but on their return s/he can get into mischief! In America you can buy an 'official' Elf on the Shelf and although you can now get them over in the UK through Santas very own workshop (Amazon) last year they were a tricky beast to track down (and mighty expensive at that) so I decided to get some of my own. I think you are supposed to only have 1 elf per family - but I thought I'd get one for each of my girls. I like the idea that when they are grown up they can each take their elf to their own families. I found a lovely little seller on Facebook called Bumbletwigs who was making Christmas Elves so ordered two for the kids. "elves have a favourite place to sit just like you or I so they're probably just sitting in one of their favourite spots"
You really learn to push the boundaries as a parent! Each night the Elves would get up to mischief of some type or other and each morning the children would hunt for their elves to see what they had been up to. 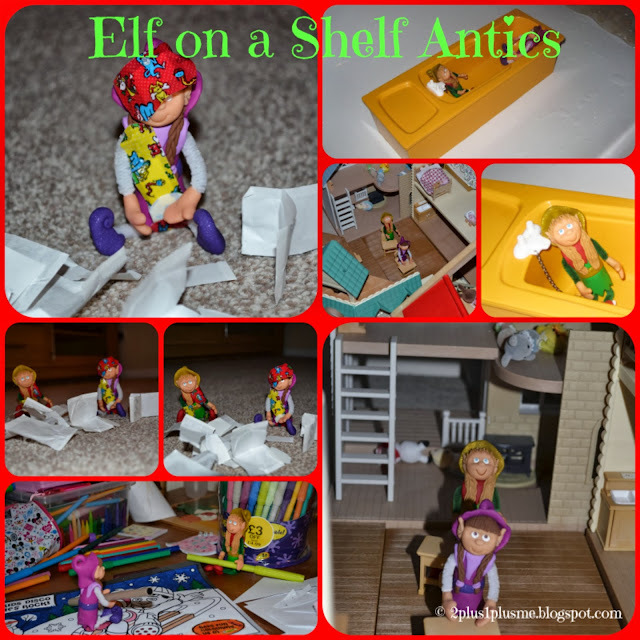 There is a whole array of ideas for things that the elf can get up to. Just look at the Elf on The Shelf Official Website here. (Personally I think the official elf is kind of creepy!). Children are not supposed to touch the elves as it could erase all their Christmas magic but there are plenty of cures for that too to save childrens tears. "Christmas magic is very fragile, and if a scout elf is touched it may lose its magic. If your elf has been touched, please sprinkle a little cinnamon beside him or her before you go to bed; cinnamon is like vitamins for elves, and it helps them get back to the North Pole. Once they arrive, the North Pole E.R. doctors will check them out." On Christmas Eve when Santa arrives the Elves go back to the North Pole with him. And there in ends the tradition. We don't have many years as parents when children truly understand AND believe in the magic of Christmas. This year my girls will be 4 and 6 so are right in the middle of it and believe and trust in it so utterly that I cannot wait for the whole Christmas season to start. I wonder how many more years I will have it? 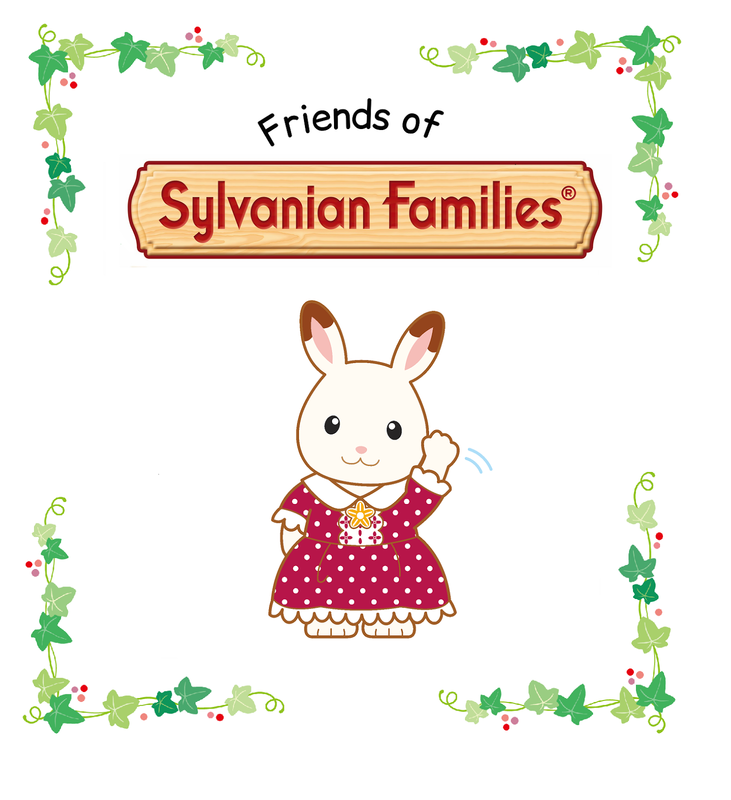 Do you have any Christmas traditions to share? I have just got something similar for imogen but it is a large soft toy elf but with the same principle. Cant wait for imogen to see it.